We have put together a FAQ section about general questions related to buying, owning or on-going management of a Domain name. But it&apos;s not always possible to include all points. So if your interested in more Info, related to who, what and where we are. We hope this page answers some of those questions quickly for you. If you need greater detail, please feel free to phone or email us, so we can advise you on what further information you require. Do you support resellers through your Tag? - As ma-design.com is a Nominet Channel Partner authorised as a Registration Agent for the .UK Domain Family of domain names. We can support resellers through our Tag [COM-MA]. How many days before a domain expires do you issue an expiry notice to your customers? - We notifly our customers 1 calender month before the domains renewal date. All domains are automatically renewed for our clients, unless notice is given 28-days prior to the Domains expiry date. How do you make customers aware of your terms and conditions? - As we work directly with our Clients, we will advise you directly in person of our T&C&apos;s at the point of sale. Theses terms are very simple, all Domains need to be paid for on or before renewal dates. Failure to observer this will result in the suspension of domains services. We are acting as Domain Managers for Client&apos;s Domain Portfolio, as well as authrorised resellers for domain naming authrorities. 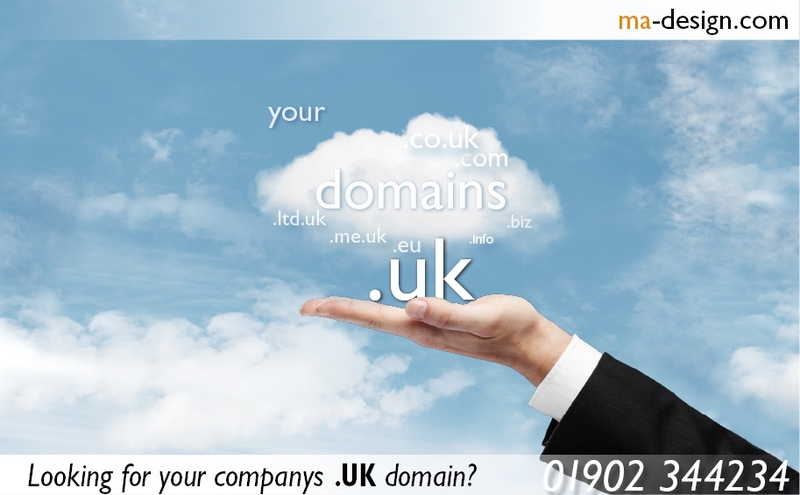 Domains are ultimately issued via Nominet or other 3rd parties, at no time is domain &apos;ownership&apos; implied or given. 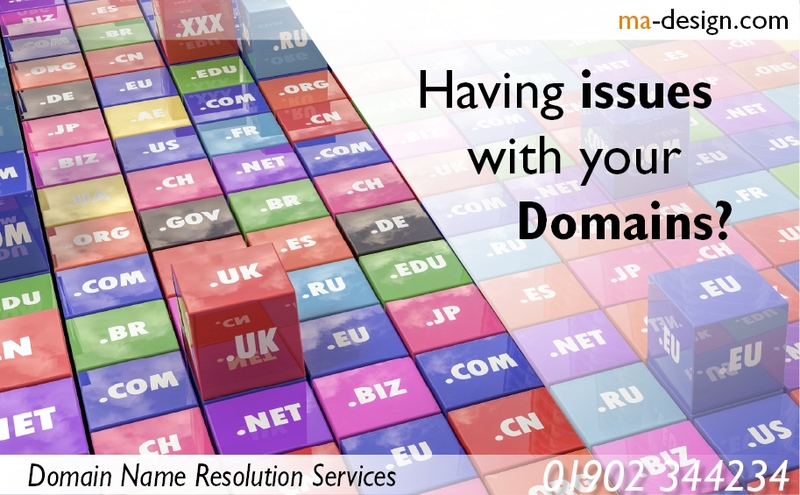 Domains remain the sole-property of the naming authority, through which ma-design is an acting agent for. What you charge for the domain-name related services you provide? - Our Professional Services Fees for undertaking any domain-related services, is outline in our current Professional Rate Card, which is avaiable upon request. How you deal with expired and expiring domain name registrations? - Notice is given 28-days proir to a domain names renewal date. Subject to being given notice of cancellation of a Domain, all domains are automatically renewed 14-days before renewal date avoiding issues with potential loss of a domain. How Your Customer can renew a domain name? - Domains are automatically renewed 14-days proir to renewal date for all of our clients. To opt-out or cancel any domain from being automaticially renewal, we will need your clear confirmation/ instruction 28-days prior to the Domains expiry date. Our Adminstaration Fee: £25 +VAT, for the 1st Domain, with additional Domains charged at £15 +VAT. Our Domain Name Management team will offer expert advice and tailor a solution that will answer your questions on domains and their use. ma-design.com Creative Social Media that will empower your companys brand., Based near Birmingham, UK, since 1987. We look forward to speaking with you very soon. Abstract: ma-design | Graphic designers that empowers your companys brand., Based near Birmingham, UK, since 1987. We look forward to doing business with you soon. Our commitement to providing a focused Design Management service for our clients is backed by our 32 years working within a wide range of industries and market sectors, including: Charitable Trusts, Electrical Engineering, and Food Processing. As being involved with both web design and hosting since 1996, we specialise in providing Web Site and Data Hosting solutions to meet exacting business needs for both access and security, from: Web Hosting, Web Site management, to CSS styling. We are so keen to keep abreast of both new technology and marketing processes that can benefit both the packaging industry and end-users directly. In view of this we strongly believe in collaborating and sharing information with other members of key Industrial Associations within the Electronics, Electrical Contractors, Manufacturing, Property Management, and Public Relations industrial sectors. We aim to please our customers doing our best to provide you with a quality experience, whether you are looking for; Vehicle Liveries, or want Exhibition Design services. We will always be pleased to talk with you about Brand Management, Web Site Design, or Printing needs.